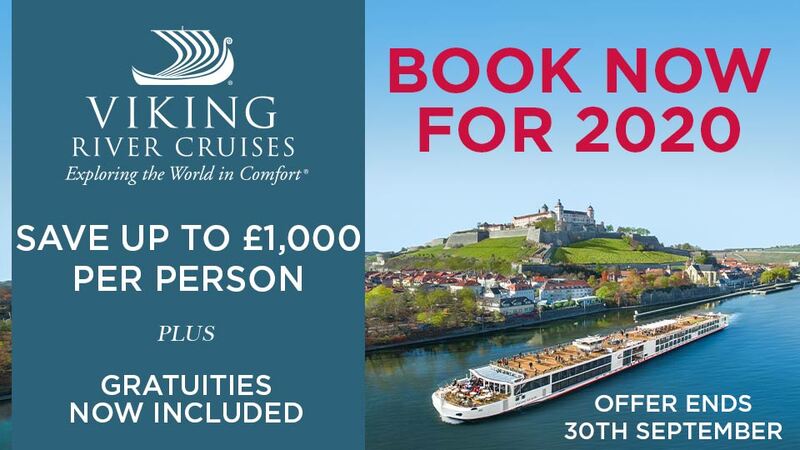 This cruise takes you to some of the most famous and delightful Christmas markets in Central Europe. You’ll find wooden stalls displaying traditional crafts that range from quirky little characters in Bavarian costume to beautiful Nativity figures. You’ll also find exquisite ornaments and fine contemporary crafts, along with fairytale villages decked in festive finery. Arrive at Paris Charles de Gaulle Airport before being transferred to your Uniworld river cruise ship. Today is a celebration of Northern France’s natural beauty, with an excursion to a splendid chateau and gardens situated in an equally grand setting, plus a chance to immerse yourself in the very landscapes that inspired Impressionist master Claude Monet. Visit the hilltop Chateau La Roche-Guyon, surrounded by beautiful gardens and offering sweeping views over the Seine. Later, you can visit the home and gardens of Impressionist master Claude Monet—the inspiration for many of his most beloved works. Or, take in the beautiful French countryside in a more invigorating way, with a guided bike ride from Vernon to Giverny.This evening, a special Captain’s Welcome Reception and Dinner will be prepared for you. Golfing? 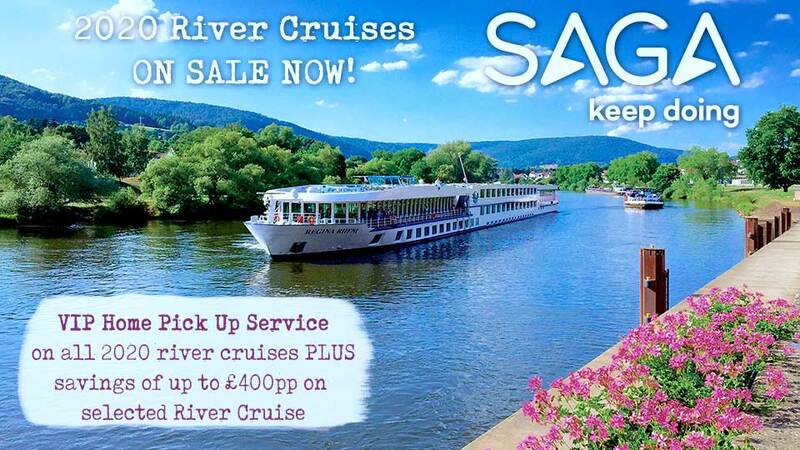 On a river cruise? This delightfully unexpected excursion—a Uniworld exclusive—features a dramatic links course atop Normandy’s Alabaster Coast. In a word, magnifique. Not into golf? Stroll through seaside Honfleur, captured on canvas by generations of artists. Caudebec, a lovely little town on a serene loop of the Seine, is your base for one of two very different excursions. You could drive through the beautiful Calvados countryside to Honfleur, a delightful seaside harbor and city of painters, or head to the windy cliffs of Étretat for a game of golf. The Normandy coast will forever be associated with the Allies’ D-Day invasion, a day that comes vividly to life on today’s excursion to the beaches of 1944. Or travel even further into the past with an up-close look at the thousand-year-old Bayeux Tapestry, depicting the Norman conquest. Immerse yourself in the tactics, desperate courage and horrendous human cost of the 1944 Allied invasion of France, the first step in the ultimately victorious land campaign against the Third Reich. It began here, on these Norman beaches, each of which was assigned a code name by the Allies as they planned their attack. Featured Excersion: Choice of Palace of Versailles or Château de Malmaison. How did France’s rulers live over the centuries? Step into the private rooms of either the Palace Versailles, the lavish palace built by the Sun King, or Château de Malmaison, home to Napoleon Bonaparte’s empress Josephine, to find out. A special Captain’s Farewell Reception and Dinner will be prepared for you this evening. Whether you’re a first-time visitor to the “City of Light” or you’ve been here many times before, there’s something for everyone today in Paris. Enjoy a panoramic overview of the city, join a local expert for a walk through two much-loved neighborhoods, or pedal your way along the Left Bank, a fresh and fun way to take in the sights. You have a host of options for exploring incomparable Paris: See all the important sights via boat and motorcoach, explore the heart and soul of the city on a walk from Notre Dame to the Latin Quarter, or bike along the quays with a knowledgeable guide. Disembark the magical S.S. Joie de Vivre and transfer to Bordeaux via high-speed, first-class TGV train. Your next ship, the breathtaking River Royale, is conveniently docked right in the heart of the city. If time allows, why not stroll to the nearby food markets or take the tram to the popular Saint-Michel flea market, which is just a few stops away? Note: Ship schedule and order of sightseeing may change throughout the itinerary. Tour to port of destination by motorcoach and substitute visits to other sites may occur during your trip due to the impact of water levels, closures because of public holidays or other uncontrollable factors. Featured Excersion: Cadillac, châteaux and Sauternes vineyards with exclusive artisanal wine-pairing lunch at Château de Cazeneuve. The French phrase “la douceur de vivre” is an accurate description for your time in Cadillac, known for its deliciously flavored dessert wines. Meet a local Sauternes producer and also enjoy a delectable wine-pairing lunch at a 14th-century fortress. Vous êtes arrivé à Cadillac, the area known for producing sweet dessert wines under the celebrated Cadillac AOC designation. You’re in for a treat! A special Captain’s Welcome Reception and Dinner will be prepared for you this evening. 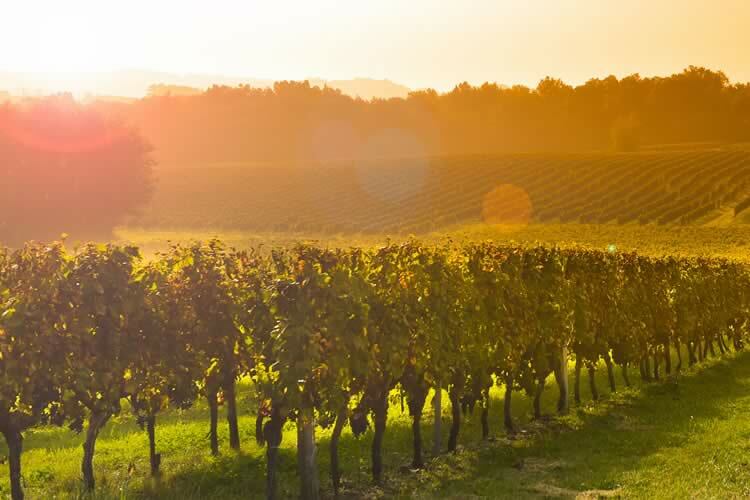 Featured Excersion: Choice of Médoc châteaux route with exclusive wine tasting or Exclusive guided “Let's Go” vineyard bicycle ride with wine tasting. The legendary Médoc region abounds with prestigious wine châteaux in a dizzying array of architectural styles, as well as miles of grapevines stretching to infinity. Take a scenic drive to the tip of the peninsula or join a guide for a vineyard bicycle ride, followed by a wine tasting at a beautiful wine estate. Enjoy the waters of the Garonne River and the Gironde Estuary before heading to the pretty town of Pauillac, gateway to the storied Médoc wine route and the prestigious “châteaux road.” Visit a celebrated winery for an exclusive special tasting. Or take a guided bicycle ride through the Médoc vineyards. Featured Excersion: Scenic drive along the Route de la Corniche Fleurie with Blaye Fortress. The Route de la Corniche Fleurie…could this be the most beautiful road you’ve ever traveled? Find out today on the drive to Blaye Fortress, passing through one impossibly picturesque hamlet after another, with exotic flowers (brought here by local sea captains) all along the way. Sail across the peaceful waters of the estuary, where fishing huts rise above grassy marshlands edged by limestone cliffs, as you make your way to the town of Blaye. A visual feast awaits you on a storied road named for the many flowers that line it. Featured Excersion: Saint Emilion walking discovery tour with wine tasting. The medieval town of Saint-Émilion is an ideal place to linger. Wander its cobblestone lanes, lined with wine shops and bakeries, and stop to admire the amazing rock-hewn church that extends beneath the city’s streets. Another treasure awaiting you underground? A wine tasting in the cellars of a premier Grand Cru estate. Featured Excersion: Libourne “Village Day” with farmers’ market. Featured Excersion: Choice of Exclusive “Do as the Locals Do” Bordeaux walking tour or Exclusive guided “Let's Go” bicycle ride through the back streets of Bordeaux. For Francophiles who are all Eiffled out, the city of Bordeaux is a delightful find, as elegant and sophisticated as big sister Paris, but with a younger and hipper vibe. Discover its many charms today, either on foot with a local expert or on two wheels, the locals’ preferred way to navigate the city’s charming back streets. How to spend your last day in Bordeaux? You have a wonderful selection of exclusive opportunities to see this magnificent place, whose seamless blend of classical and neoclassical architecture led to its being designated a UNESCO World Heritage Site. “Do as the Locals Do” with a walking tour of the city, or venture out on a bicycle ride through the city. Either way, you’ll have an up-close and personal view of one of the world’s most bustling and dynamic cities. A special Captain’s Farewell Reception and Dinner will be prepared for you this evening. Disembark the ship. If your cruise package includes a group departure transfer or if you have purchased a private departure transfer, you will be transferred to Bordeaux-Mérignac International Airport for your flight home. 14 breakfasts, 12 lunches, 14 dinners. All meals on board, prepared using the finest and freshest ingredients.